Free and fast antivirus with legendary anti-spyware! Adaware Antivirus Free from Lavasoft provides core protection against internet threats. 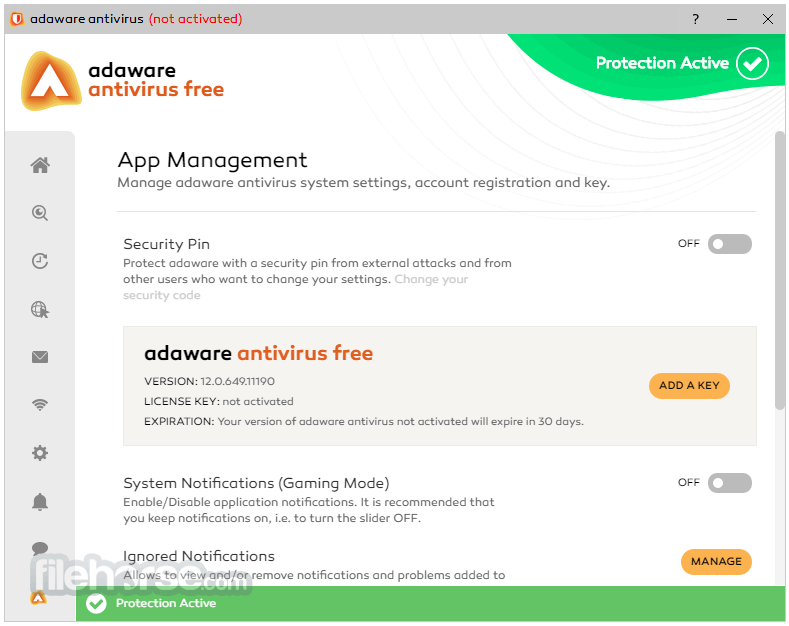 Featuring real-time antivirus and anti-spyware engines, rootkit protection, download protection and web filters for Safe Browsing, the product gives you the power to protect yourself online. 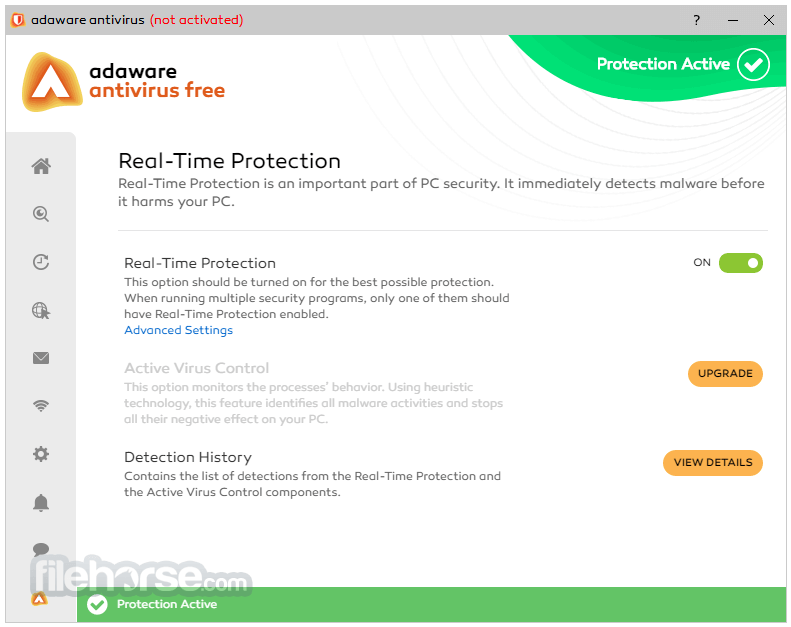 Adaware Antivirus Free provides complete anti-malware protection, combining Lavasoft's pioneer technology for anti-spyware with traditional antivirus protection. 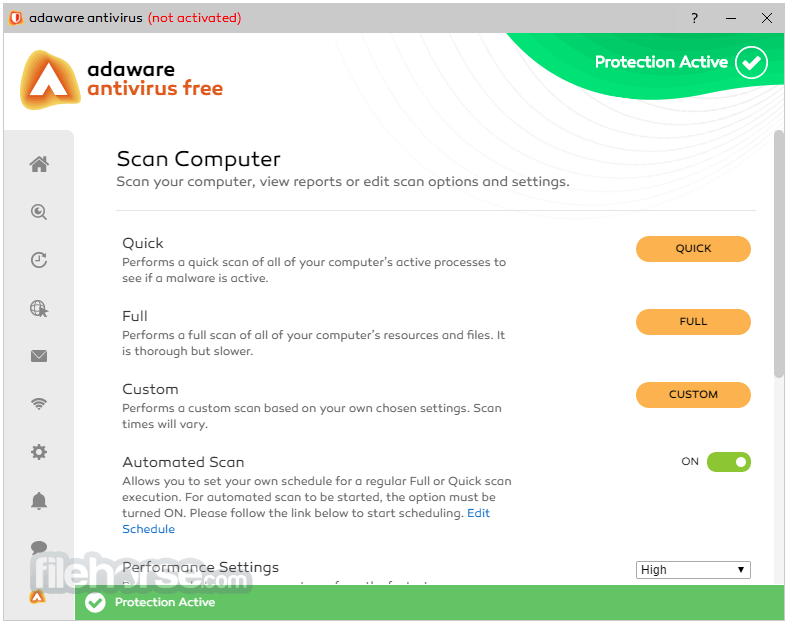 Adaware Anti virus safeguards your computer from online threats so you can focus on the things that matter to you — connecting with friends, checking email and watching videos. As a pioneer in privacy protection and antispyware, it has been the recipient of multiple awards since 1999. Each year, the software is submitted to independent labs for testing and has consistently scored in the 99th percentile for protection against all forms of malware. 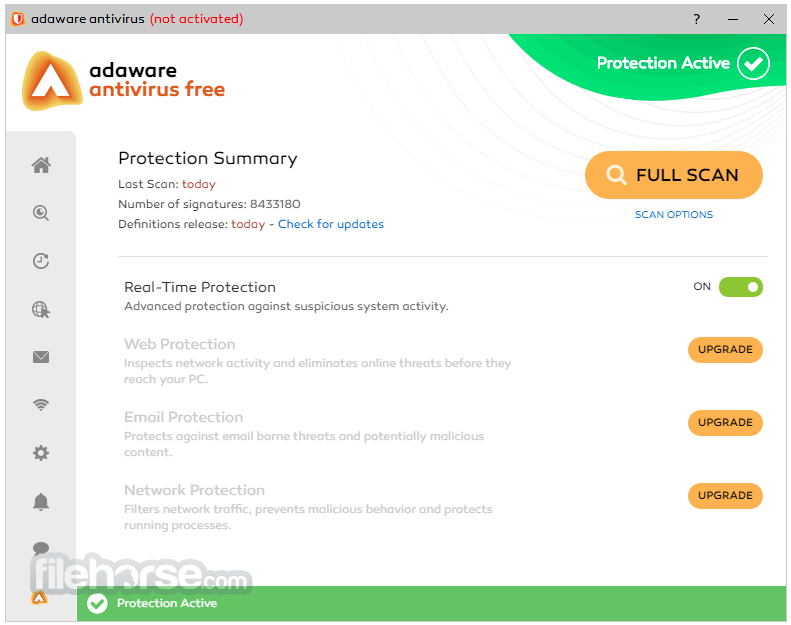 As a result, adaware is highly regarded as one of the best and most stable antimalware programs on the market. The Active Virus Control feature scans and prevents malicious processes in real time. It monitors the actions of applications at the process level to identify possible malware activities. The Email Protection feature is intended for users who use desktop email clients such as Microsoft Outlook and store the emails on their local computer. This feature scans all incoming and outgoing emails to ensure they have not been compromised by malware and protects users accordingly, logging and deleting malicious attachments before they have a chance of infecting your computer. Additionally, this feature notifies users of spam messages. When the Email Protection feature is enabled, emails are marked with a footer indicating that they have been scanned by antivirus. The Web Protection feature warns you if the site you’re trying to visit is suspected of phishing or distributing malware. This provides an additional layer of protection beyond the built-in defenses of your web browser. The Web Protection feature consults multiple databases for the latest phishing and malware links to provide up-to-date protection against the latest online threats. Network Protection enables a firewall which stops hackers from infiltrating your home network and accessing your files. The default mode of Network Protection closes ports which are potential entry points to infiltrate your home network. Additional options allow it to monitor all process changes and adapters on your network for alterations made by malicious programs. An optional stealth mode allows your PC to become invisible on its network. Parental Control is an extension of the Web Protection feature which allows parents to filter online content according to their child’s age and unique needs. Parents can consult a categorized list which allows them to use preset groups of banned websites based on their child’s age range. Alternately, parents can create their own categories of websites to block and initiate a custom filter.